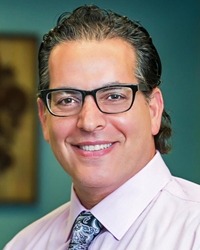 NJ Top Dentists Presents, Dr. Richard Champagne of Champagne Smiles! Dr. Richard Champagne is Celebrating Two Years as a NJ Top Dentist. Dr. Richard Champagne of Champagne Smiles was first reviewed and approved as an "NJ Top Dentist" in April of 2014. 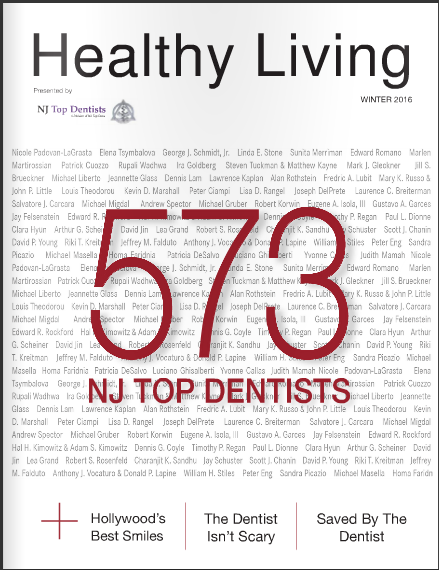 NJ Top Dentists would like to congratulate Dr. 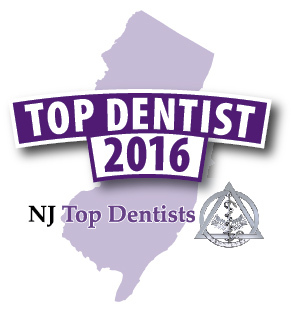 Champagne on his two years of being recognized as an "NJ Top Dentist"! At Champagne Smiles, they know that tooth loss goes far beyond a cosmetic issue. The practice understands that tooth loss can incur a lot of stress, pain, discomfort and embarrassment, which is why they are proud to offer the innovative All-On-Four™ treatment to their patients. The All-On-4™ treatment reaps the benefits of implants with the cost savings of dentures for anyone on the market for full-mouth tooth replacement. Dental implants such as the All-On-4™ treatment offer a great alternative to crowns, bridges and dentures for patients and can restore a patient’s entire smile in one day. The All-On-4™ treatment boasts many attractive pros! Only requiring four implants to replace all upper or lower teeth, these custom dentures are adhered securely in the mouth. These implants provide a wonderful look aesthetically, while ensuring a healthy jaw bone. There are four metal screws that sit within the bone and hold the denture in its place. When a patient chews or bites on the implants, it applies pressure against the bone which is just like the pressure applied on the roots of natural teeth. These forces have a protective effect on the jawbone and keep it from melting away. These dentures are firmly secured to the implants, and so there is no need for unpleasant adhesives! These dentures also last much longer than the older style, as the fit doesn’t change due to jawbone deterioration. Success rates on the All-On-4™ treatment are at a whopping 98%! The first step to treatment is a consultation visit with Dr. Champagne who will evaluate the condition of your gums and take x-rays to confirm that there is sufficient bone structure to support the implants. Models of your teeth and bite impressions will be used to create custom dentures. Thanks to CAD/CAM technology, Dr. Champagne is able to map out your procedure virtually, ultimately providing you with a preview of your new look. The procedure is impressively quick. In just a few hours per arch, Dr. Champagne and his board-certified surgeon can implant four titanium screws into a patient’s jawbone and directly attach the denture so that it will be secured in place. Much shorter than most restorative or surgical dentistry procedures, the treatment causes much less irritation. There can be some soreness in the following 24 hours after the procedure is completed, but most patients return to their daily work and life routines the next day. For anxious and nervous patients, Dr. Champagne offers a wide range of sedation dentistry options. Dr. Richard Champagne has earned an outstanding dental record for going above and beyond the expectations of his patients. In acknowledgement of his extensive experience and expertise, Dr. Champagne was granted “Master” status of the Academy of General Dentistry, a distinction that less than one percent of dentists have. In addition, he has received Associate Fellowship status in the American Academy of Implant Dentistry. Patients who visit Dr. Champagne for their dental procedures can be assured they are in good hands. Dr. Champagne strongly believes in truly listening to patients’ needs, and treating patients as honored guests at his practice. He and his team work with patients to fully understand patients’ concerns with their teeth, and together design a treatment plan that respects their goals, time and financial backgrounds. The team at Champagne Smiles promises their patients exceptional care and results in a safe and comfortable environment. Dedicated to giving their patients an unsurpassed dental experience, Dr. Champagne and his staff look forward to treating anyone in need of dental care! “Thank you from the bottom of my heart for my new marvelous smile. You have changed my opinion of how to view a dental appointment” – Lea H.
“I want to thank you for doing such a beautiful job on my porcelain veneers, they really look natural. I am so happy with how my smile looks now! It has definitely changed the way I feel about myself and how others see me. Thanks again for all your time and effort. I feel like a new man with a new smile! – Dr. Mike C.
“I just want to thank you and your fine staff for the wonderful job you have done with my teeth. I keep smiling all the time” – Joe P.